Find the original article on Phorest's blog! Client notes are crucial. Not only do they help communicate internal information, but when done right, they also play a massive role in making your client’s passage in your salon memorable. Phorest Salon Software says that writing down concise notes will ultimately help everyone in the salon deliver the most memorable and exceptional customer service for your clients. So what's worth writing down? If you’re only getting started with note-taking, try listening to this episode of Phorest FM. 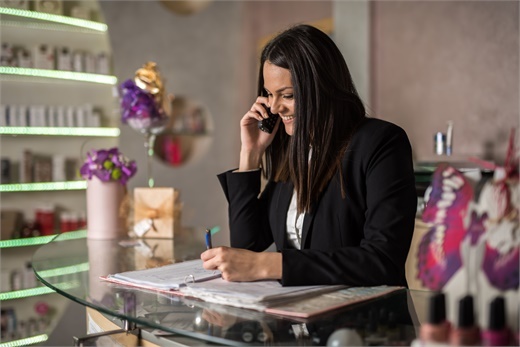 Client notes can be taken when scheduling an appointment, when your client checks-in, during the appointment and even when they come back to the reception to pay. The 22-minute long episode features salon manager Kristina Malone, from boudoir-style Dublin waxing salon Waxperts, and discusses the business’ focus on putting back the ‘treat’ into treatments. More specifically, how to provide customers and prospective clients with the best possible customer service and experience before, during and after their appointments. And guess what? It includes client notes. Important: When writing down client notes, only put factual stuff. Do not write down opinions; clients have the right to request to see your notes. What you write is there to help you build a magical client experience and improve the offering, so forget the ‘miserable,’ ‘always late,’ etc. Do they have kids? If so, how many and what are their names? Do they have a holiday planned? Are they pregnant and/or expecting soon? See the 17 other crucial notes here! Say goodbye to lost post-it notes, notes on your personal phone, the about-to-burst-with-paper binders and the stress of passing over what you wrote down to another therapist, stylist or owner! We’re in the digital age, and Phorest Salon Software is there to help. Here's the difference between client notes and appointment notes in the system. Client notes are notes which are always with that client’s information. They can include color reminders, general preferences and even marketing information. These are the notes we discussed all throughout this article. Notably different, appointment notes are specific to that particular appointment. For example, ‘client might be late’. These types of notes move to the ‘Previous Appointment Notes’ box following the next appointment. To view these sections in Phorest Salon Software, simply log in, click ‘Clients’, and double-click on the client to which you wish to add or view a note. Getting Client Notes To Appear On The Appointment Screen. To view the detailed step-by-step, click here. Setting Up An Important Alert For A Client On Check-In. To view the detailed step-by-step, click here. For more information about Phorest Salon Software, visit http://bit.ly/2mvEghr.